John Calvin | The Old Adam Lives! 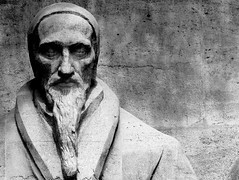 On this day 500 years ago, John Calvin was born. Calvinism is quite popular these days in the theology a great many Christians. Why do you think this is so? Do Calvinists have a b etter understanding of the Christian faith than do the rest of us? What is the main difference between Calvinists and Lutherans?